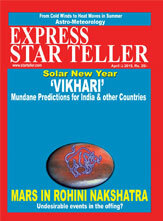 The intricate mathematics of Vedic Astrology is the source of its amazingly accurate predictive power. The ancient science of astrology believes that the movement of planets affects our lives in a great way. 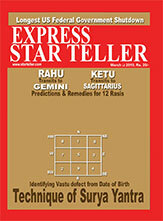 The zodiac for Vedic Astrology has 12 signs or constellations from Aries to Pisces. But rather than emphasizing on the Sun Signs, Vedic Astrology uses the Ascendant Sign, Moon Sign, and a part of the Sun Sign. Vedic Astrology believes in the totality of various calculations that are done on the basis of the movement of planets, their correlation and planetary placements. A final view is found only when all the parts are seen as a whole. What all does it Offer ?